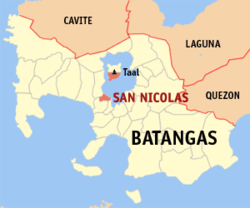 San Nicolas is along Taal Lake and is the smallest town in the province of Batangas. 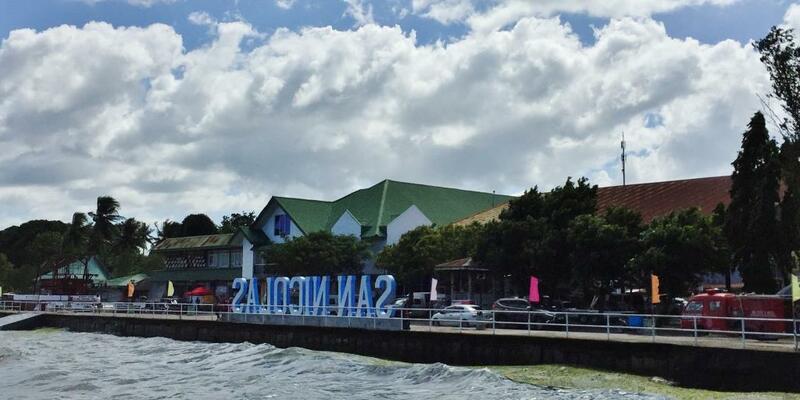 It is so small for it was part of the town of Taal, and only became a separate town in 1955. 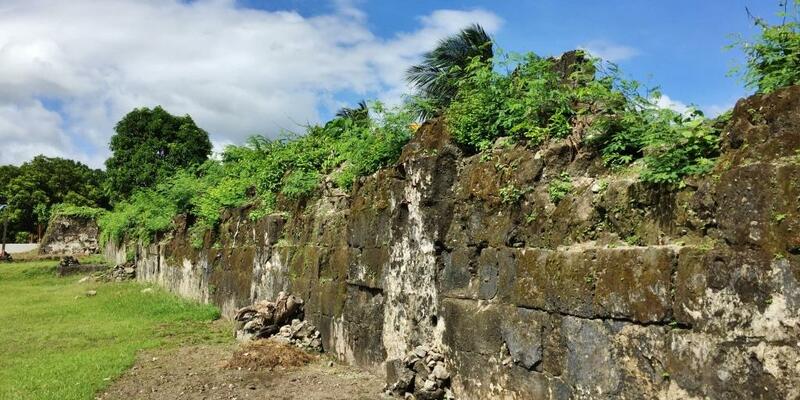 Inevitably, its history is closely linked to Taal. 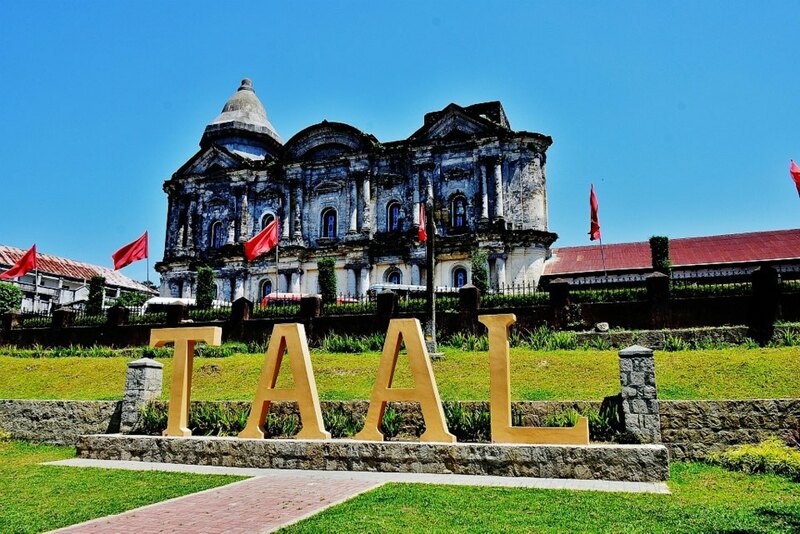 The largest basilica in Asia which now stands in Taal is actually Taal’s second basilica. 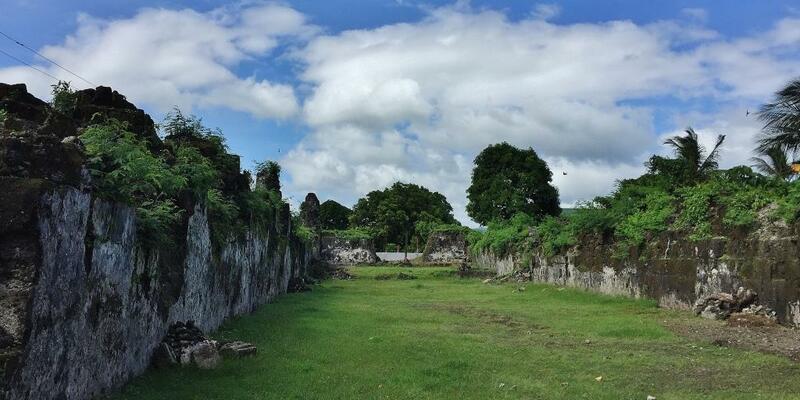 The first basilica is now nothing but ruins, but is the most interesting spot in San Nicolas that draws visitors to this little town. 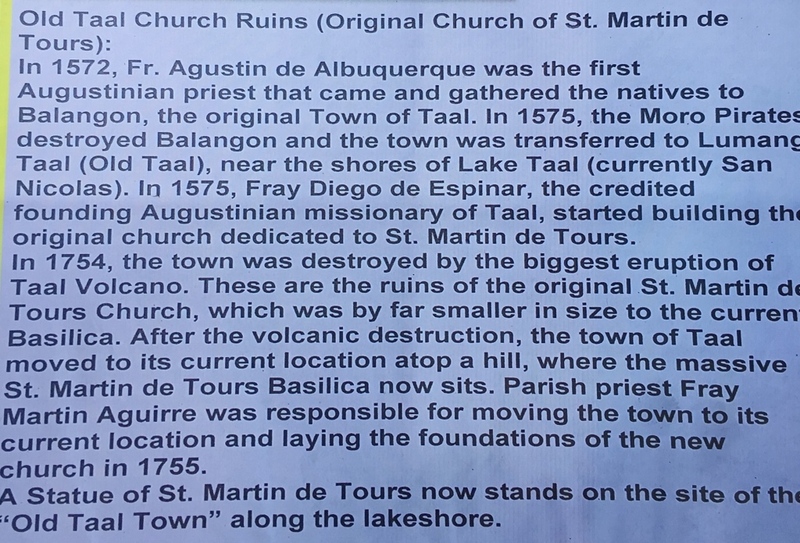 I did a copy paste of the church ruins history posted outside of the ruins. 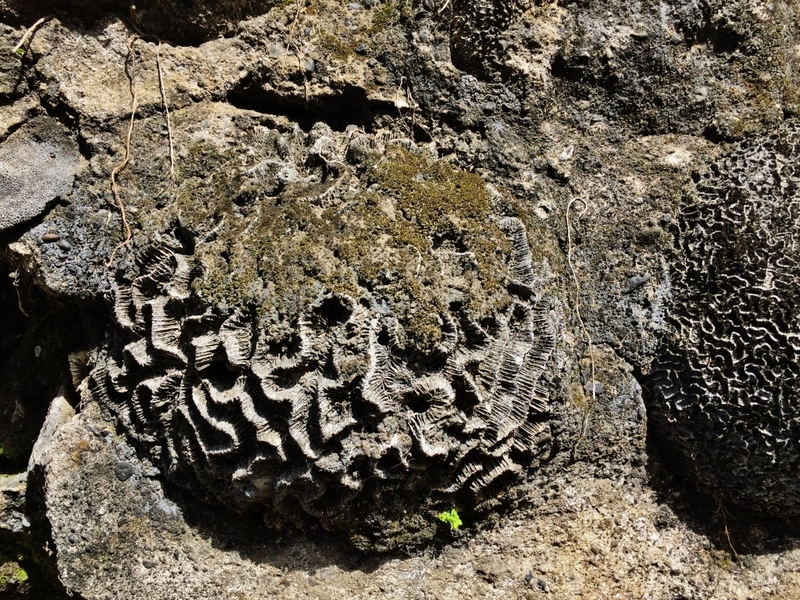 Noticeably, the structure is principally made of corals, just like how most of the churches in southern Luzon and the Visayas were made. 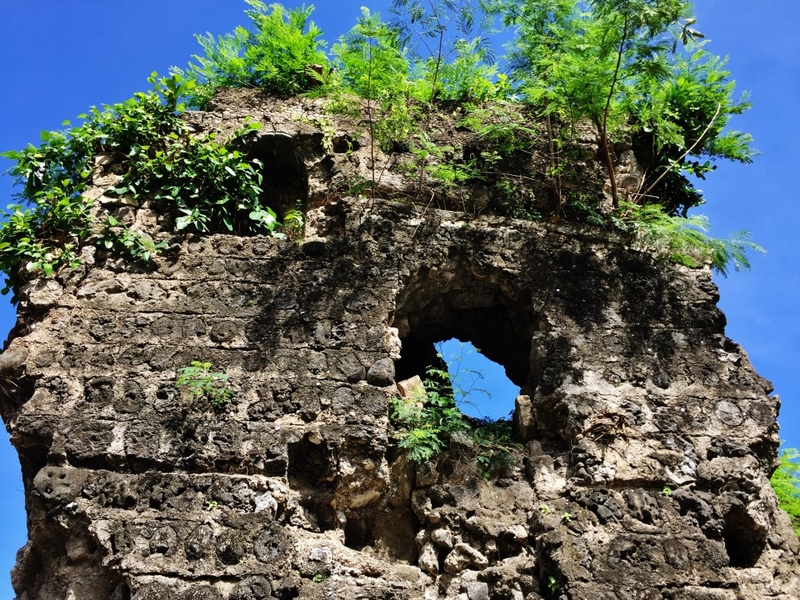 One can not help but visualize how the church stood in its glory days even as there is now nothing except its shell. 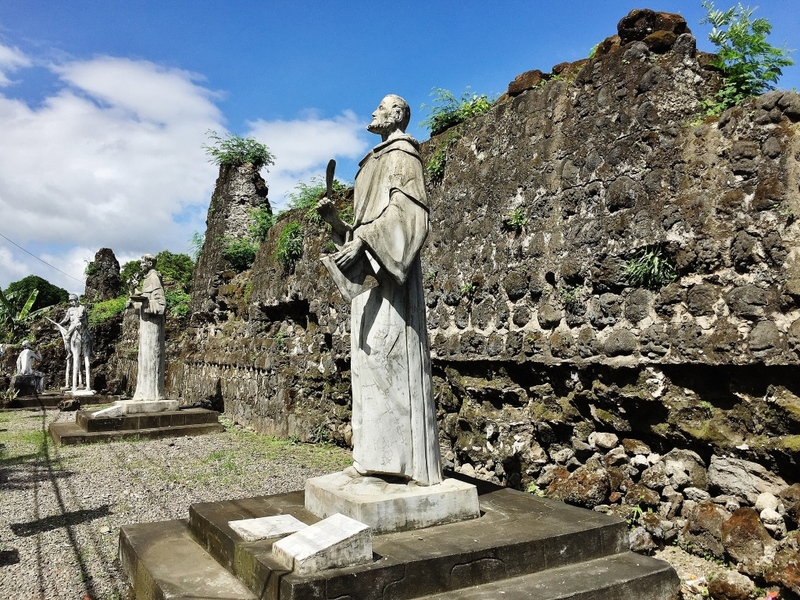 Today, statues of saints have been erected outside of the walls of the ruins. 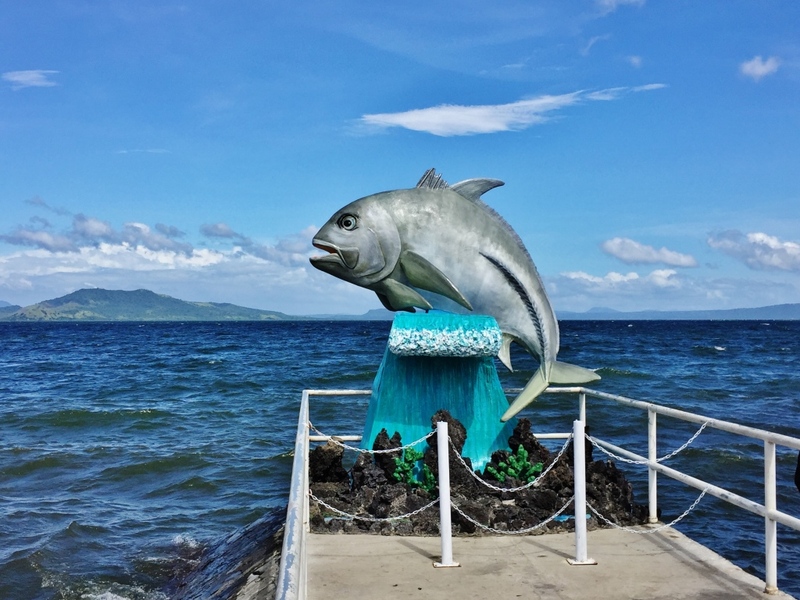 While the town of Talisay is the default gateway, loading hundreds of visitors onto boats for a visit to the volcano island, the town of Nicolas lays claim to being the real gateway. 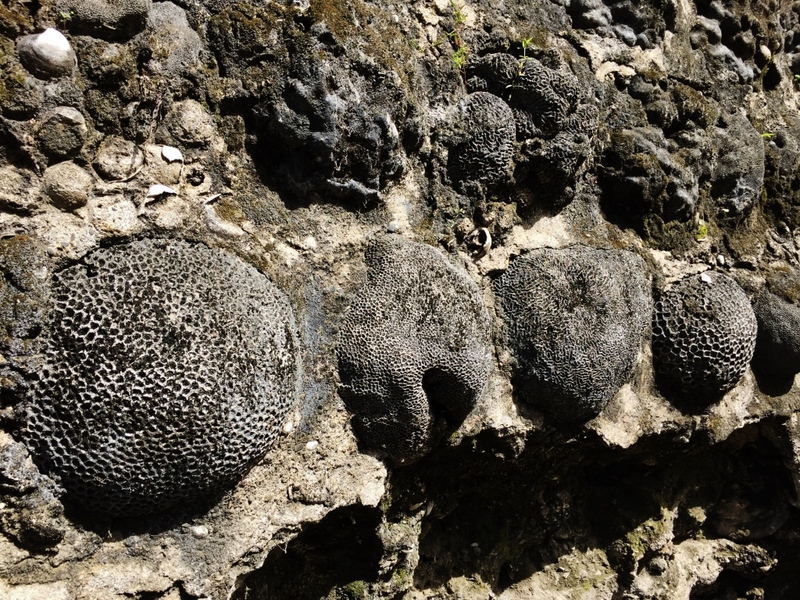 They are the closest to the volcano, about 3-4 kilometers away, and a mere 30 minute boat ride. 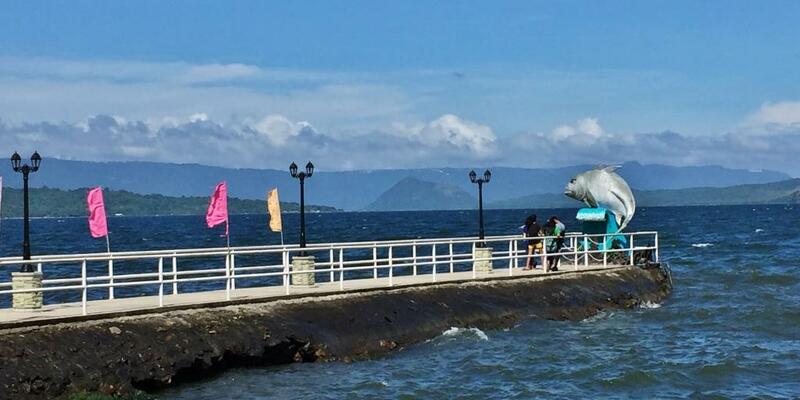 The promenade that the town has built around the lake draws visitors for a view of the lake, the volcano, and Mt. 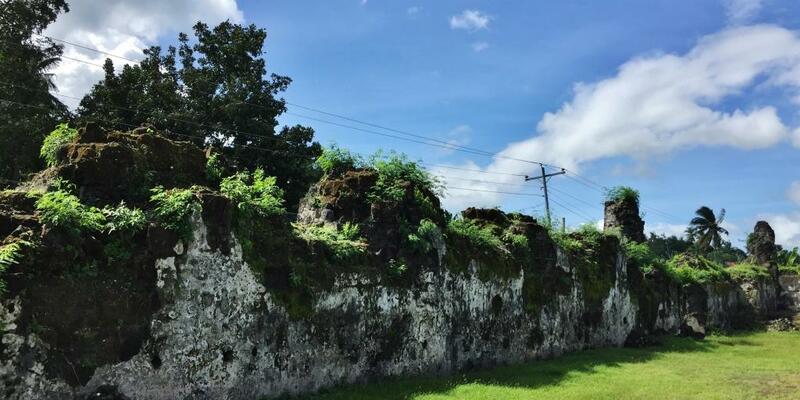 Maculot on the background. 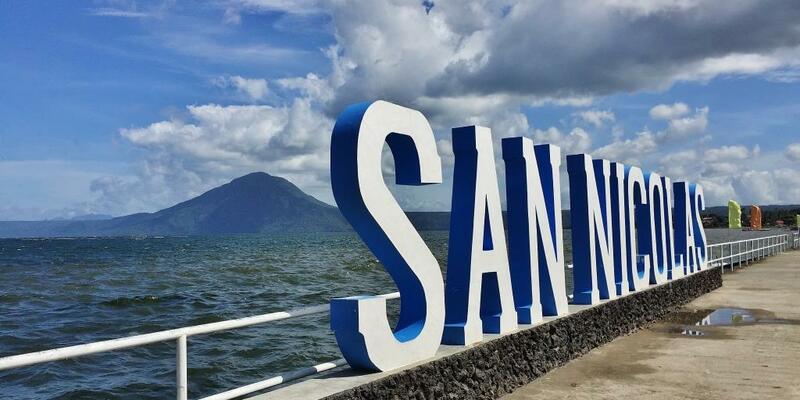 Other than taking a boat ride and trekking Taal, here are two interesting things to do in San Nicolas. 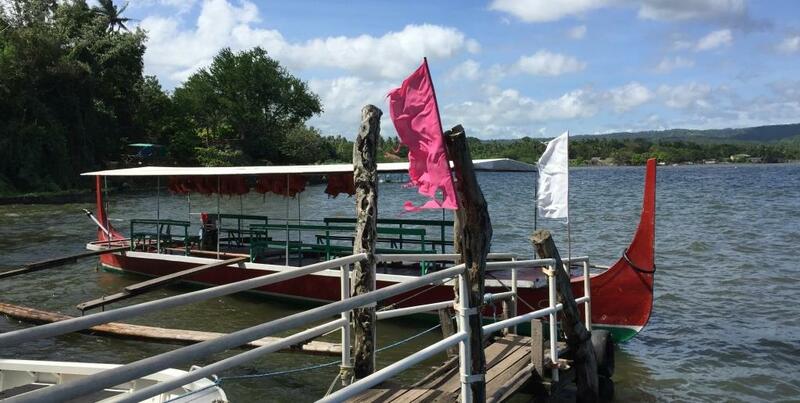 Have lunch at the local restaurant serving the very rare maliputo, a fish species caught only in Taal Lake. 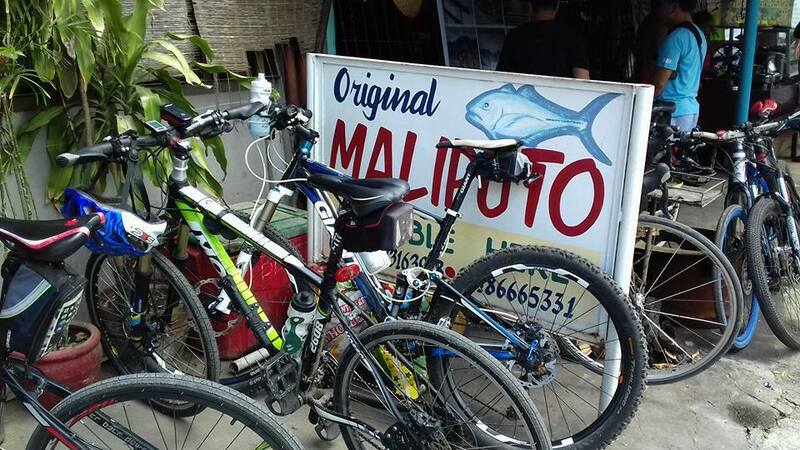 On one visit, I had one cooked two ways (a portion was grilled, the other portion made into sinigang). And the famous tawilis. Unfortunately, they do not have these everyday. Try your luck. I did not experience this myself. 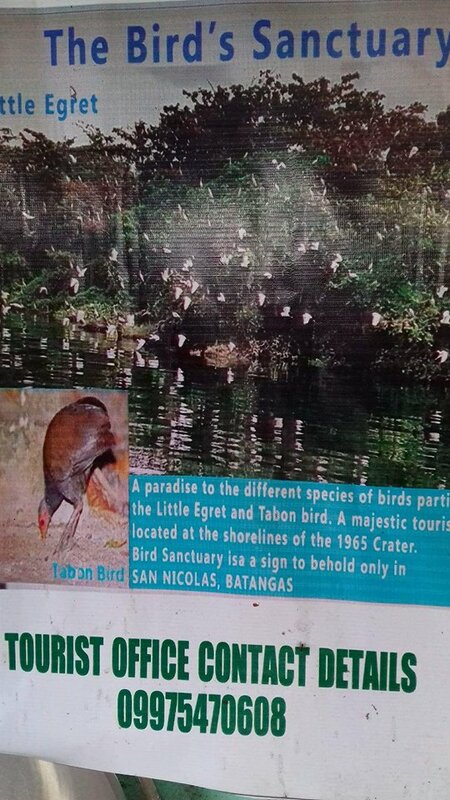 But the tourism poster at the maliputo place indicated that this is a special attraction in San Nicolas.